The Gemological Institute of America (GIA) is the world’s most trusted name in diamond grading and gemstone identification. It is an independent and impartial entity for evaluating the quality of diamonds and delivering unbiased information on them. GIA laboratories examine more than two million diamonds and precious gems each year. With objectivity and expertise as its hallmarks, GIA ensures integrity and accuracy of every report it issues. GIA has the world’s most comprehensive gemological research programme; a staff with academic training and gem-testing experience; modern scientific instrumentation; and a collection of gem materials. For more than 80 years, GIA researchers have studied the scientific properties of gems to develop new methods of identifying natural, synthetic and treated gems. Results of these studies are incorporated into GIA educational materials, which inform the grading and analytical methods we use in our laboratories. GIA developed and maintains the methods and best practices for evaluating diamonds. As creator of the 4Cs and the GIA International Diamond Grading System, they established the common language for describing the quality of D-to-Z colour diamonds. They also developed the terminology and methodology for evaluating coloured diamonds. GIA laboratories are equipped with powerful analytical tools similar to what can be found only at leading universities and national laboratories. 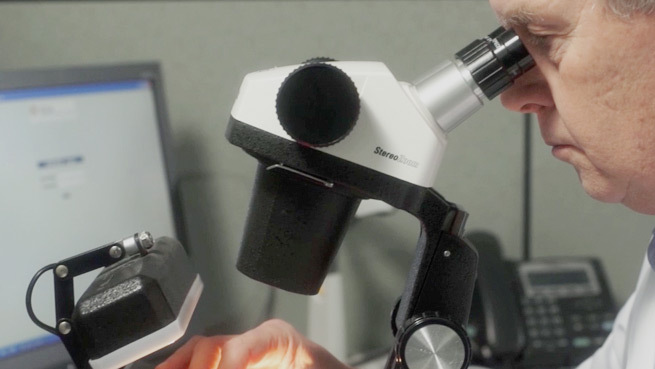 This equipment allows them to examine material at high magnification in order to document gemological properties, chemical composition, spectral features, and other characteristics. Every GIA laboratory operates under the same set of standard procedures and principles designed to ensure the objectivity and accuracy of every gem identification or grading report issued. These tenets are supported by research, highly trained staff, state-of-the-art security and monitoring features, and a suite of best-practices. Gem grading and identification records are archived in an extensive global database for ongoing study and future reference. This information gives GIA the ability to identify items that have been submitted to us previously for examination, and to assist law enforcement agencies from around the world in the recovery of stolen goods. Find out more about the GIA here.